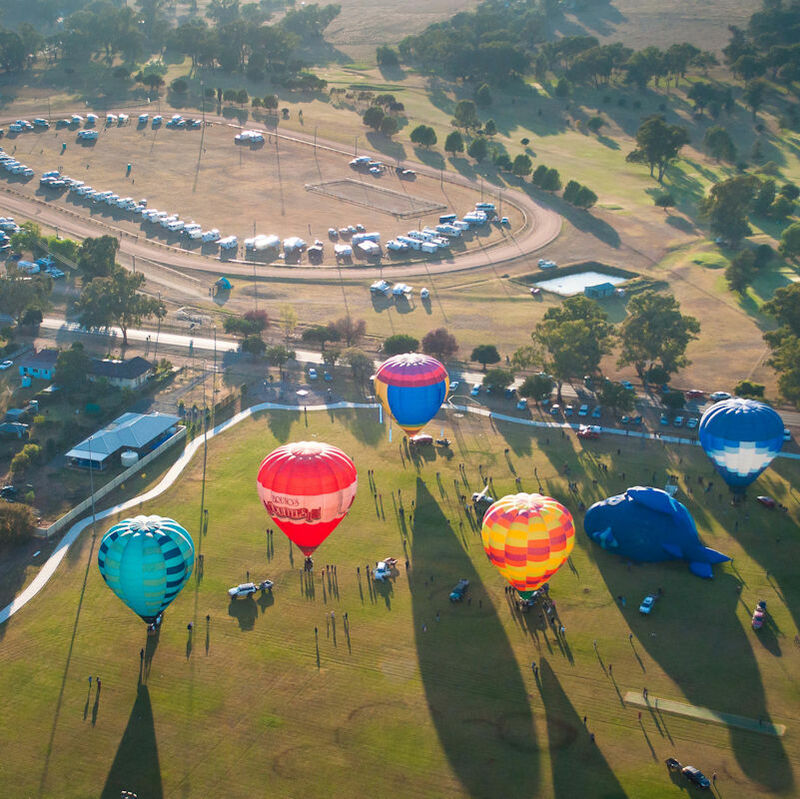 The skies are set to come alive again from 18th to 25th April 2017 in Canowindra during the school holidays. With a bronze award in the Regional Tourism Awards and a finalist in the NSW Tourism Awards this year things are buzzing for a great Balloon Challenge in 2017. We have taken to the skies with a new image to celebrate. The crisp new logo which depicts balloons, NSW and Canowindra in a stylized form in vibrant balloon colours is just the start. Our new website is under development and will be released shortly. New this year will be the daily balloon pilot briefings taking place at the Showground, to which you are invited. This year the expanded Night Balloon Glow, Fire and Light Spectacular will amaze all. Why not join the party by volunteering for the day or the week? We can assure you, whether young or old of a memorable experience. Jobs for all levels of fitness. 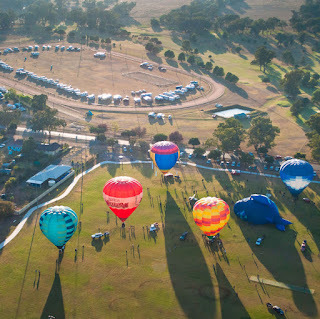 Take a balloon ride to view the beautiful Belubula Valley and “Share the Air” with balloonists from Australia and the world. Enjoy all the Central West region has to offer, extend your stay and visit Taronga Western Plains Zoo at Dubbo, Parkes Radio Telescope, Cowra’s Japanese Gardens and the Age of Fishes Museum. Most importantly don’t forget your camera as balloons create something special and you can enter your best pictures in the photo competition with a class for Drone shots. Canowindra Challenge can be your challenge.